Blue sapphire (0.51cts) and white diamond (0.35cts) baguette half eternity ring, channel set within a 3.9mm design. 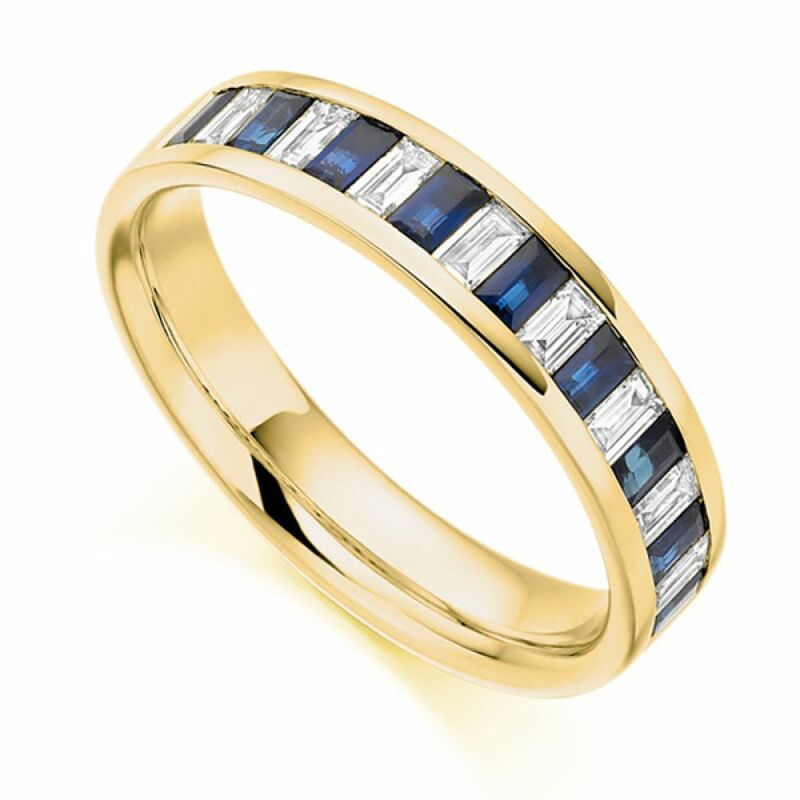 This half set Baguette cut Eternity Ring features deep blue Sapphires contrasting with alternating ice white Diamonds. The stones are held securely in a channel setting sweeping across half of the court profile band. The profile makes this design comfortable for everyday wear. The Baguette cut stones have been perfectly matched prior to setting with the Diamonds being graded F/G Colour for brilliant whiteness and VS1 Clarity for incredible purity. Available in a range of precious metals including 18ct White Gold, 18ct Yellow Gold, 18ct Rose Gold, 950 Platinum and 950 Palladium. Can be delivered from the UK to many locations worldwide with all tax and shipping considered.